Mill Cottage was once the corn-grinding mill for the farm and the original drive-shaft (horse driven) is still a feature on the patio. The Mill is arranged practically upside down from a conventional cottage. 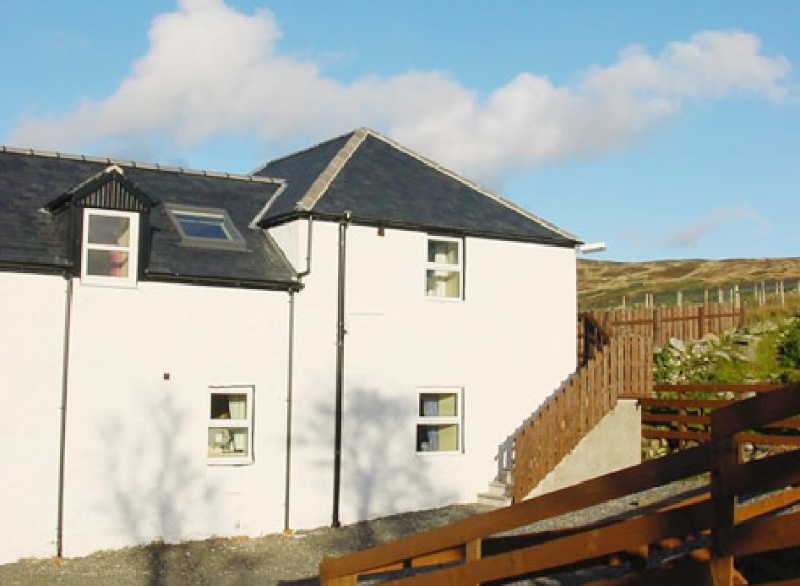 Access is upstairs through a large patio door onto the first floor where the living room, kitchen and one twin bedroom are located, while downstairs are a further quadruple bedroom, bathroom and utility room. There are adequate drying facilities here if the weather is inclement. All modern conveniences have been carefully added to the Mill, but it still maintains very much its own character and the views from the patio and windows are exceptional. The Mill has five permanent beds in two large bedrooms, while cots and additional full-size folding beds can be supplied on request. Heating is by oil and there are radiators in every room, while supplementary heating is available by electric radiators if required. There are a full size electric oven and hob fitted in the kitchen along with fridge-freezer, washing machine with dryer and large microwave. Colour television, DVD and CD player are all supplied. 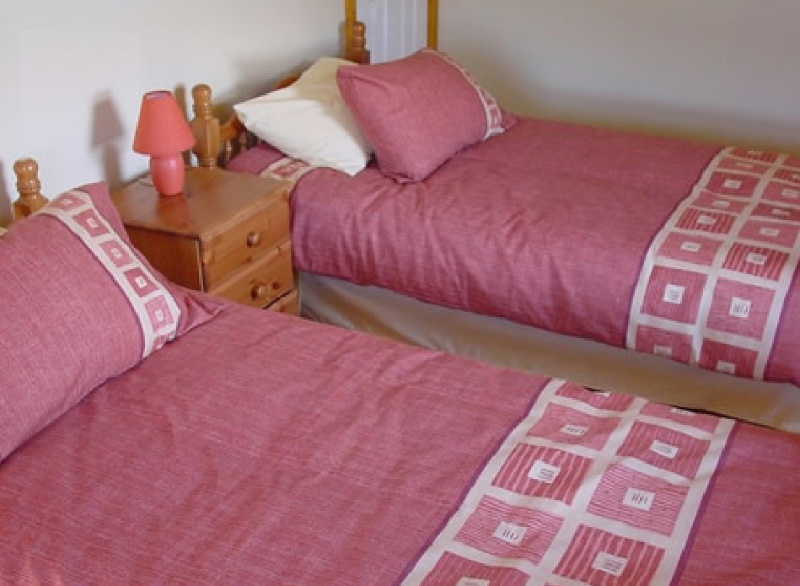 Oil heating is supplied free, electricity is by £1 coin meter and bed linen is included in the rental. Towels will be supplied to overseas visitors only. 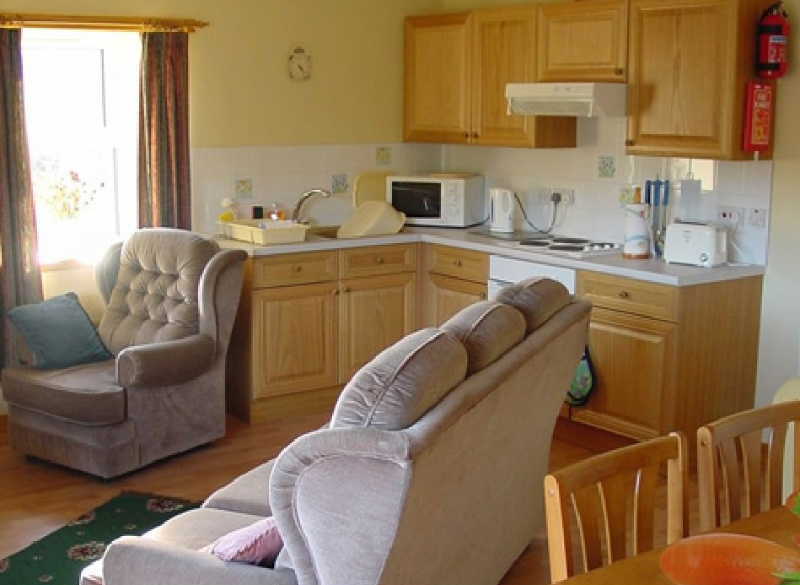 Pets are welcome by arrangement and a maximum of two house-trained, well behaved dogs are allowed in the living area of the cottage with their own bedding (strictly not allowed in the bedrooms or on the furniture). 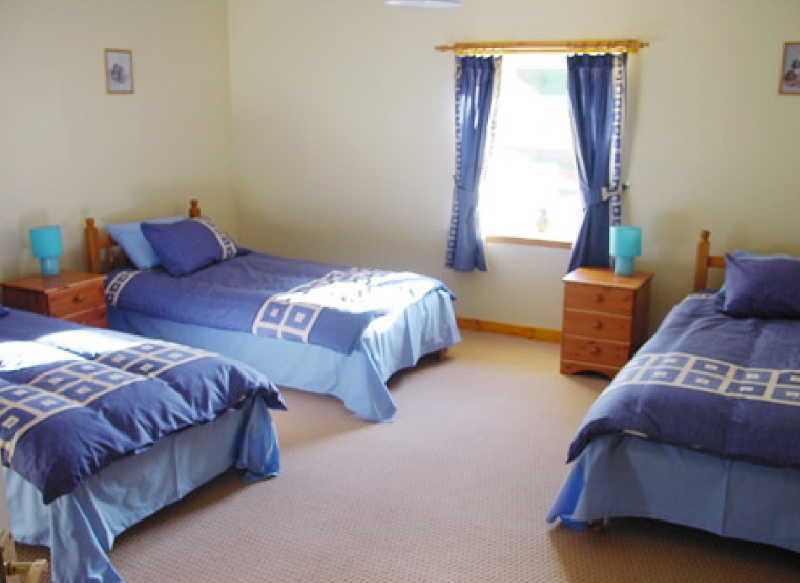 Children will adore their holiday at Glenquicken Farm Cottages. They can ride on Fergie, the old tractor or a quad bike, pet the farm's own Galloway cattle, feed the ducks and hens, go trout fishing, stargazing, bird watching, hill walking, mountain climbing or visiting the Gem Rock Museum before collapsing into their comfy beds exhausted! All prices are per week (Saturday 3pm to Saturday 10am). 3-night short breaks may be booked within a fortnight of the break start date except for the low season where they may be booked in advance. We will try to accommodate you wherever possible. Most 3-night breaks will commence on a Saturday; however, it may be possible to choose a different start date, depending on the time of year. Please call us to check. As we are a working farm, we ask that all dogs be accompanied and kept under strict control or on a lead at all times.